One of the perks of running a charcuterie business is that I get to scope out new spots for fruits, nuts and of course…cheeses. 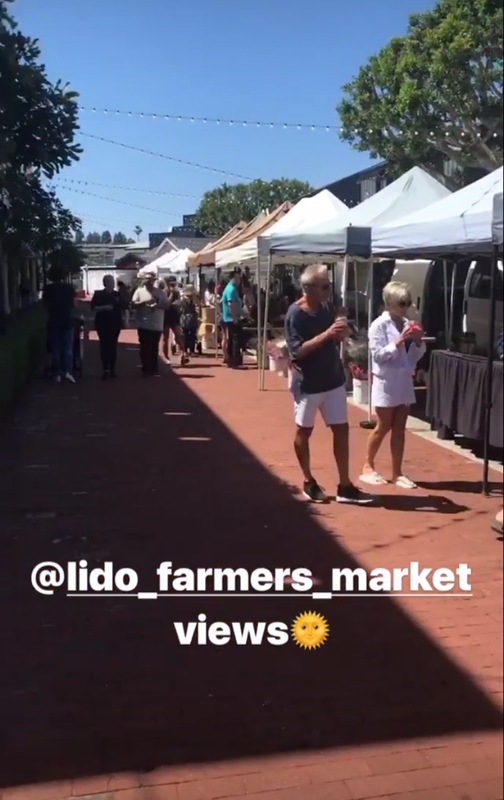 Last week, I went down to the Lido Marina Village Farmer’s Market (Wednesdays 1:00pm-6:00pmI was thrilled to try some familiar flavors (vendors tend to work at every market in the county) and new ones as well. 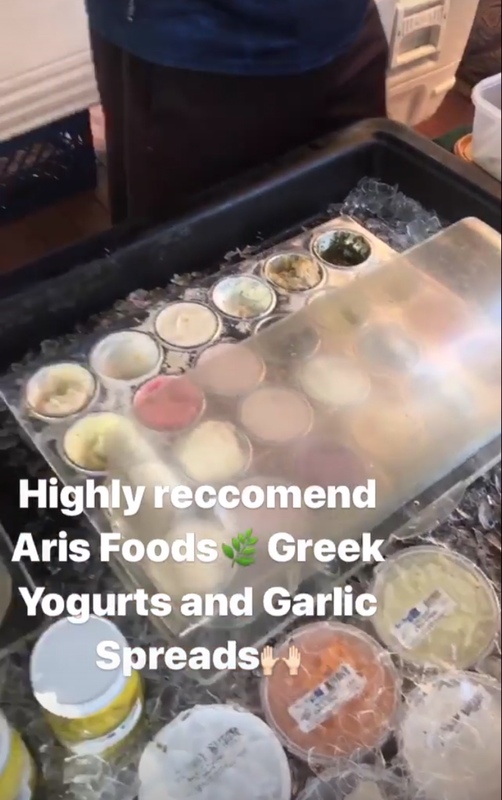 Aris Natural Foods carries sheep’s milk yogurt, cheeses, and vegan products. I’ve experienced sheep’s milk yogurt before, but if you haven’t yet, it’s an easy traditional yogurt substitute for lactose-intolerant folks. Yes, I purchased the lemon yogurt, but I couldn’t leave without trying a fresh-made pita topped with vegan garlic spread, then pesto, then sun-dried tomatoes in oil. What a bite. Ok, I went home with those three as well. 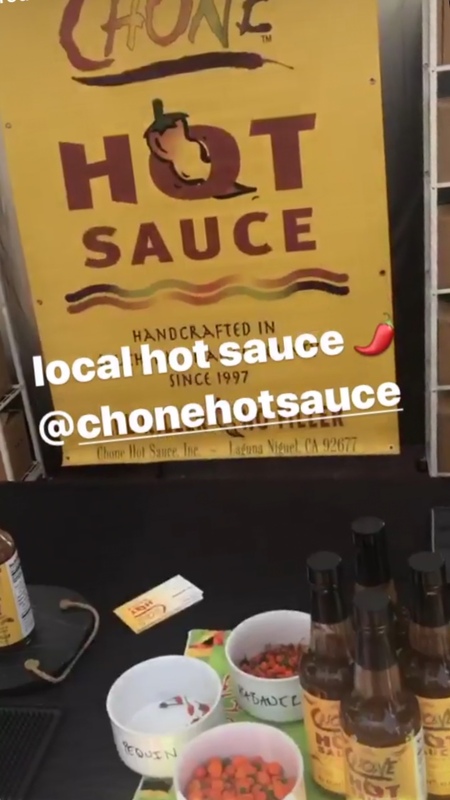 The owner of Chone hot sauce grows his own peppers in South Orange County. He is friendly and offers fantastic recipe ideas. I took his recommendation and used the Green Hot Sauce mixed with olive oil as a marinade for chicken. After one hour in the sauce and a cook session on the grill, they were devoured. They had a kick, but not without a sincere depth of flavor. Overall, the market had a number of vendors that offered take-home products, aka snack food/crowd pleasers. Notably, this market has the most expensive eggs I’ve seen at $7+ a dozen. Maybe next time, if I don’t leave with the inventory of the Greek spot, I’ll be able to buy a $7 dozen and see if I can taste the difference from my Grade A brown eggs I buy from Sprouts. 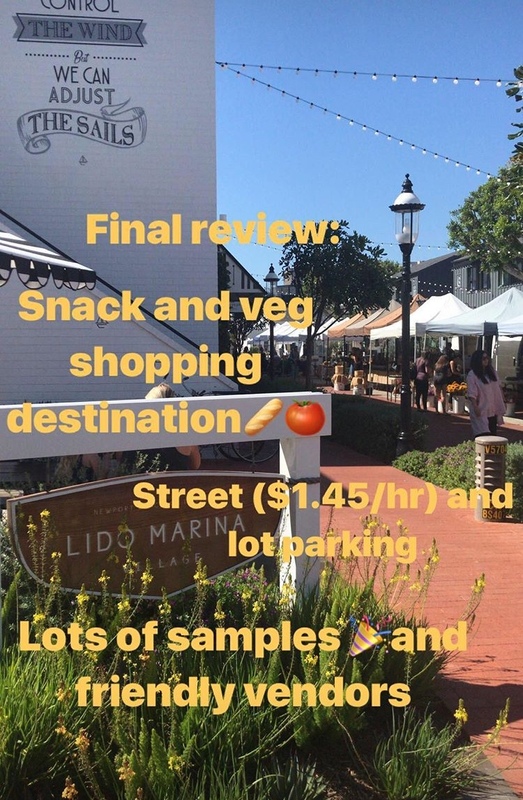 I’d love to hear more about other Farmer’s Market’s! Please comment below or on my Instagram to share!